Remember that prestigious project called 100 dollar laptop? Notebooks that were supposed to be sold for 100 dollar each and were supposed to cause a revolution since every child in a third world country would receive one? Well, that 100 dollar laptop, the project is currently called OLPC, it’s price has increased to $199 a piece Yeah, someone somewhere forgot that corporotaions are run by the rules of capitalism and therefore (rightfully) want to make a profit. Now, something that I think is changing the world already by causing a ,yet unknown to the non geek world, revolution; is the Raspberry Pi. An at most 35 dollar (taxes and shipping costs excluded) costing, credit-card sized computer that plugs into your TV and a keyboard. Gotta get myself a cutie like this, anytime soon! Granted it’s specs aren’t spectacular, but it is perfect for the educational purposes it’s aiming at I do believe this project will cause a revolution by education. It’s smaller, you can easily put it in your pocket and take it with you anywhere. It doesn’t need as much power as a traditional desktop. It’s a computer not a laptop, if the keyboard breaks you just plug in on to another keyboard. It’s looks like you can easily modify it and making it therefore easier to repair. It’s aim is not only to learn children about software but also about hardware and working in international teams through the internet. It has a quick expanding community of enthousiasts worldwide. The people behind this project are upfront about everything, in case where they can’t they also explain why; like being bound by a NDA for example. While the people behind Rasberry Pi act out of idealism, they do have a healthy share of realism. 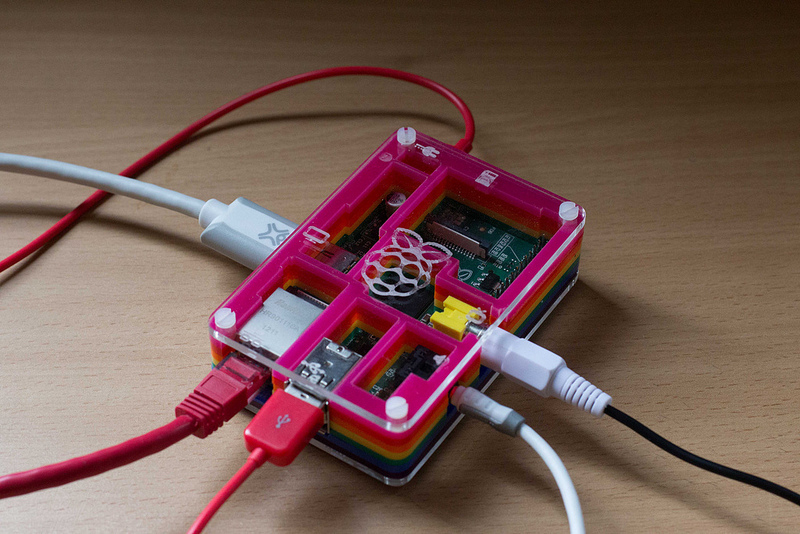 Categories: Raspberry Pi | Tags: Kawaii | Permalink.